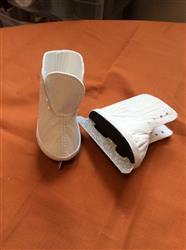 Create a pair of sleek ice skates for your 18" doll with this PDF pattern from Miche Designs! 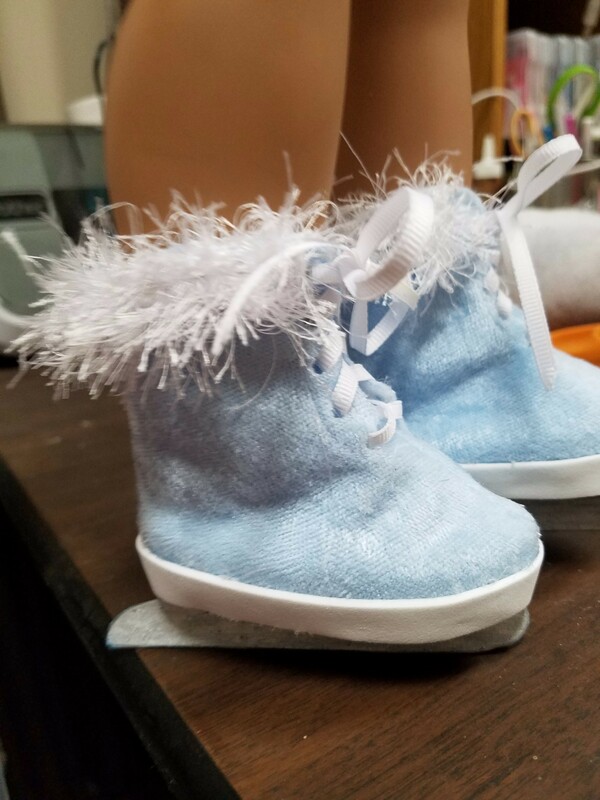 Your doll will rule the rink with these amazing ice skates! Skill Level: Intermediate. The assembly of the shoe requires a bit of practice and patience, which is why the pattern is rated intermediate. I love this pattern, as I do all of the pixie fsire patterns. There is no one who makes the quality, or detailed patterns with such ease to follow as pixie fsire. They are up to date, and s look that no one else has out there! I love the pattern. Great instructions. Just have to fine some small laces. Thank you! I found the pattrrn and instrucions to be extremely user friendly. Instead of vinyl for the skates, I used some crushed velour and backed it with fusible fleece for stability. Overall tha experience was great, I had a few troubles when it came 2 adding tha blades bt, I was able 2 get it, then I paired tha shoes with tha ice skating dress 4 ah nice match. Thanks so much!